Not all of us are skilled fire starters and the last thing I want to do when I’m camping is spend a ton of time trying to get a fire started. B and I always seem to get at least one rainy day every time we go camping so being able to start a fire quickly and easily is a must. 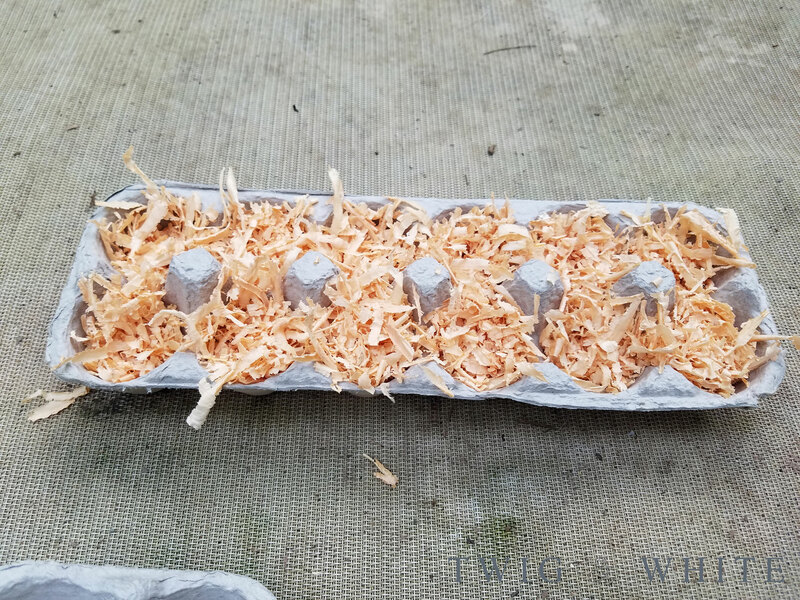 While most stores that sell camping supplies sell fire starter sticks, B and I have found a way to make them at home with things that most of us could get our hands on they are are completely free! Some way to melt wax and pour it. 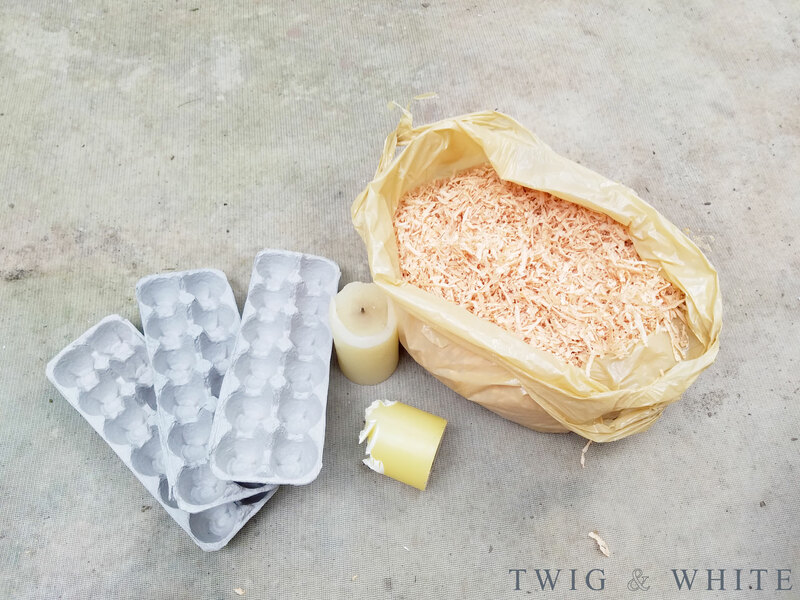 While you are waiting for your wax to melt, set up your egg crates by removing the lids. 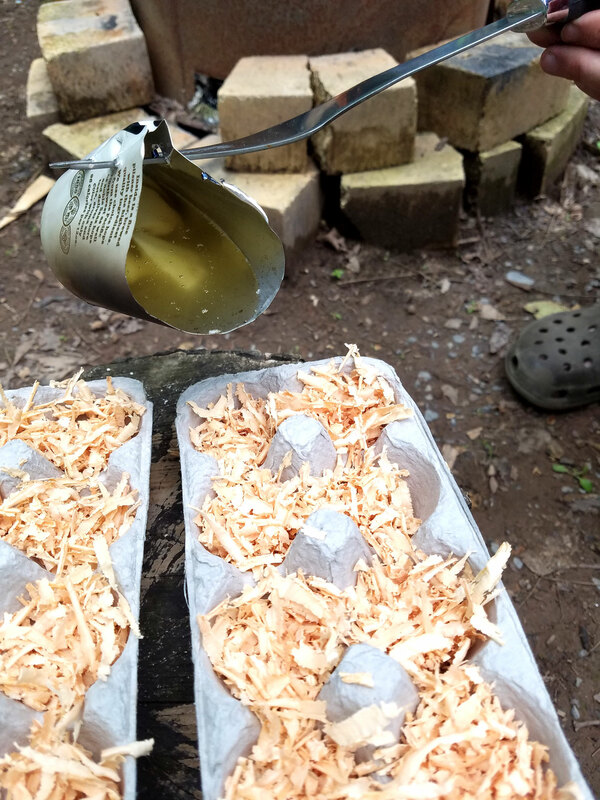 Fill, each “cup” with your wood chips or saw dust. It’s ok for the wood to heap over a bit. 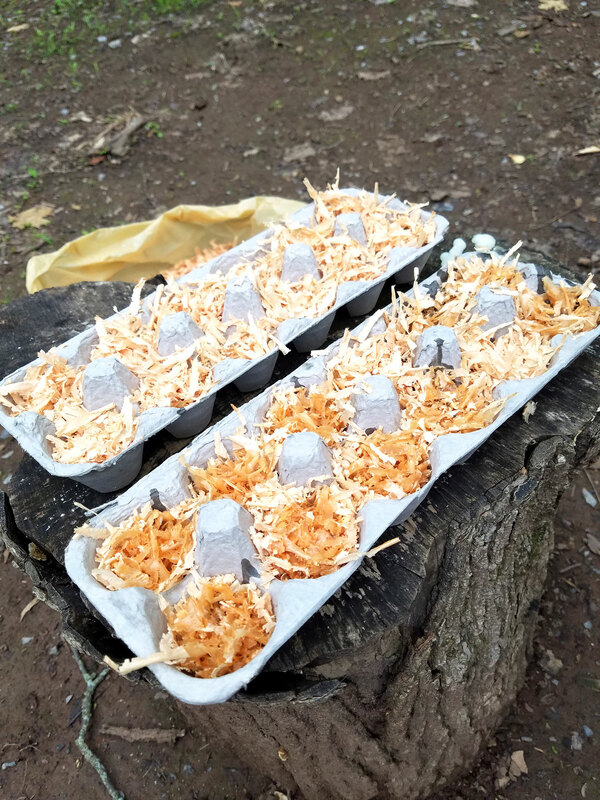 Once your wax is melted and your egg crates are set up with the wood, pour your wax into each little cup filling as much as you can. Try not to overfill the cups with wax. 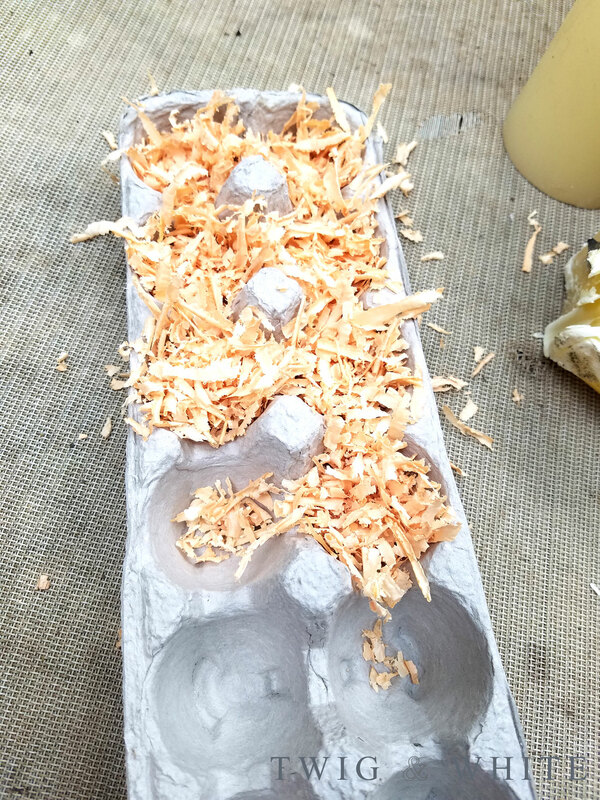 Once the wax has cooled, push the wood / wax into the cups and add more wood and wax as needed. Don’t push too hard because you don’t want to compact the mixture too much. 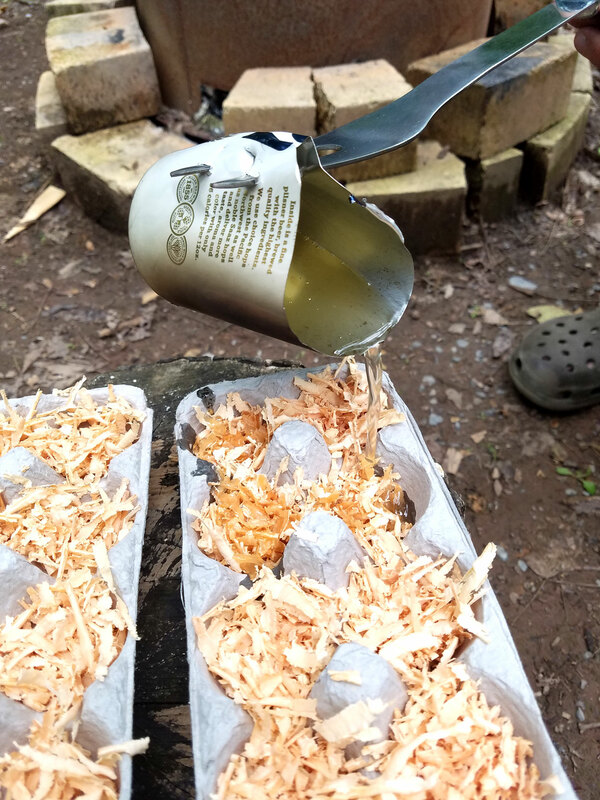 Once complete and cool, use a utility knife, heavy duty scissors or even a band saw to cut your fire starter cups apart. Once your starters are cut apart, store them in a dry, air tight container until ready to use. 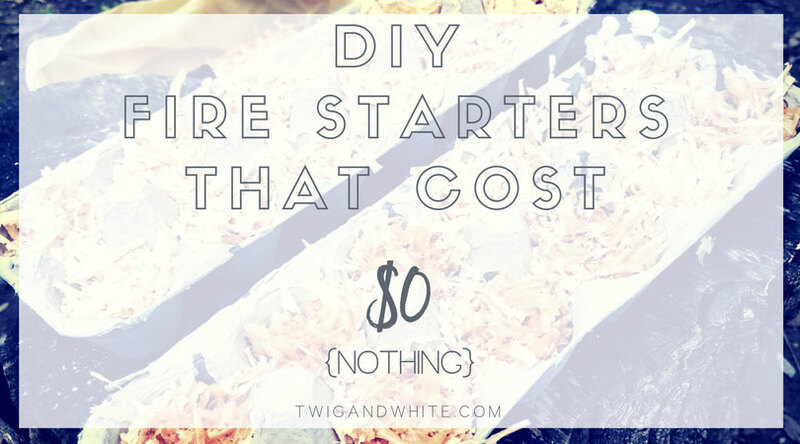 When you are ready to start a fire, you simply stack your kindling around one of your starters, light it on fire and then add wood as necessary to grow your fire. These little things work like a dream and we’ll never buy another pack of fire starters at the store again. I’m guessing after this, you wont ever either! 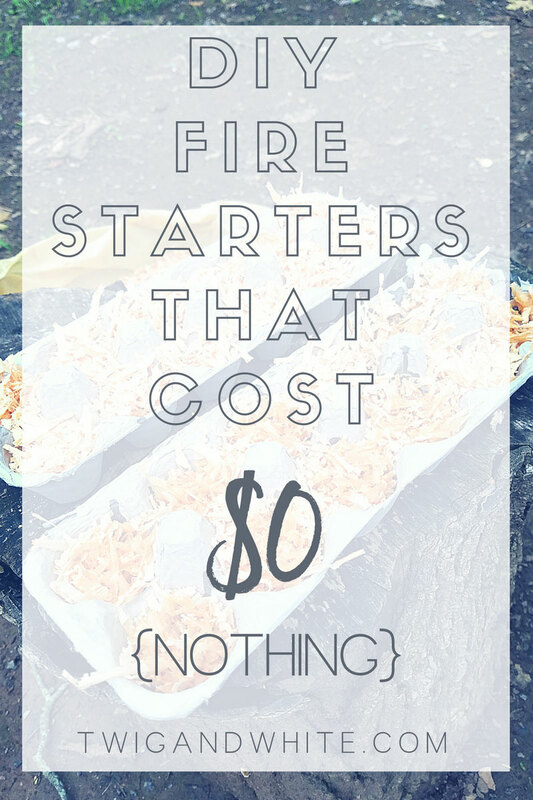 Whether you are planning to light a campfire or hanging out around a fire pit in the back yard, starting a fire can take a lot of time and buying fire starters can get expensive. 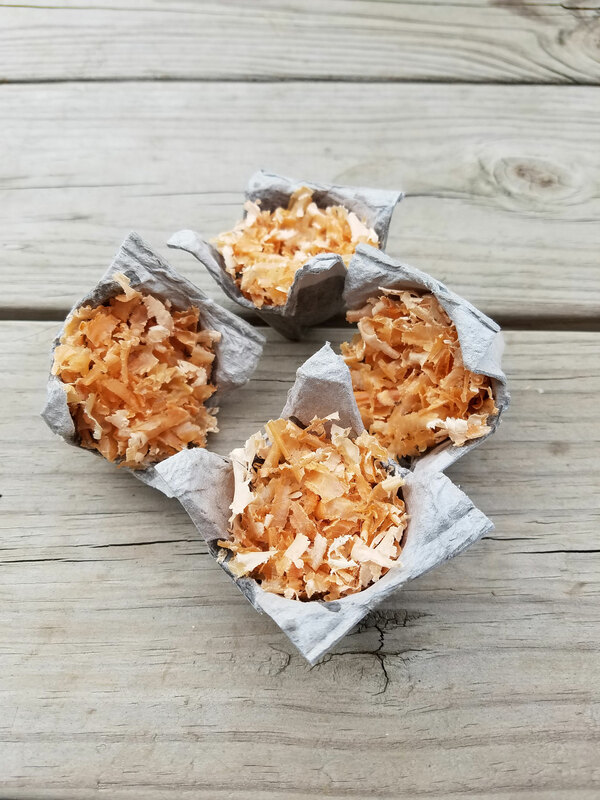 By taking a little time to make your own with things you already have and may otherwise throw away, you are not only saving yourself money but reusing something too! I hope you enjoyed this fun DIY project!